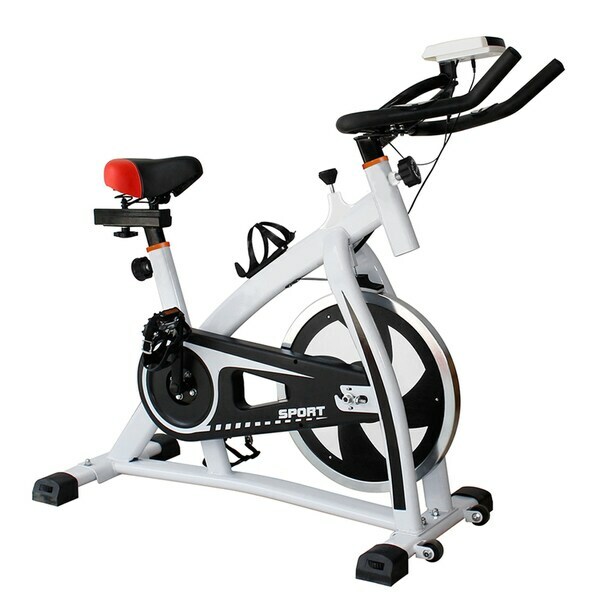 Ideal for indoor healthy and fitness exercising. Durable frame that is so stable and solid. Perfect for indoor fitness exercising. Thickening materials to enhance the service life of bicycles. Effective calories consuming that can keep you healthy. It is healthy for your abdomen,help to reduce belly,shaping yo body,build your muscle. The seat is does not adjust enough to make it comfortable and is not easy t adjust for the use of two people. I am 5'8 and my husband is 6,1. It was a perfect bike for me but to small for my husband. I would of been happy with it. Except when we received it. The package look to be damaged. We put bike together. The handle bars where damaged, the screen was not working and water bottle holder was missing. i was so happy for the fast service on the return with overstock. Got my money back with no problem. First, the box the bike came in was extremely damaged. I don’t if this was due to the shipping company or if someone tried to open it after it was delivered. (Box was left on my porch for about 15 minutes before I got home) Second, the knob to adjust the seat is broken, one of the pedals is cracked and the water bottle holder is missing. Third, the handle bars and seat are NOT aligned! Lastly, the overall construction of the bike is poor it doesn’t look at all like it does in the pictures. Very disappointed, I will be asking to return for a full refund. Bike arrived to my home securely packaged, box intact. Inside box, packing foam was destroyed and bike was severely damaged. Pretty disappointing, though it happens. Overstock support has been amazing though in helping me with my return. "Under assembly it says "assembled" does it come already assembled?" This bike is assemble required, we apologize for the confusion. "What is the weight of the flywheel?" The approximate weight of this item is 63 lbs. "Is this belt or chain drive?" It is a chain drive.